Stephen Sondheim and James Lapine’s smash-hit Into The Woods opened on Broadway in 1987, winning three Tony Awards, before being reimagined in hundreds of different ways. It was even developed into a feature-film by Walt Disney Pictures in 2014 and until Friday night’s opening of Into The Woods at The Cockpit, the film is my only real experience of the production. Teaming up with Trilby Productions, All Star Productions has delivered the London fringe theatre scene with a 21st century imagination of the Sondheim classic. Into The Woods follows a baker and his wife who discover a curse has been placed on the baker to prevent him from ever having children. Unless they return a cow as white as milk, a cape as red as blood, hair as yellow as corn and a slipper pure as gold within three days to the witch who cast the spell in the first place, their family tree will remain a barren one. On their trip Into The Woods, the baker and his wife meet a variety of well-loved fairytale characters from the classics written by Brothers Grimm and Charles Perrault, including Little Red Riding Hood, Jack In The Beanstalk, Cinderella, Prince Charming and Rapunzel who aren’t all too eager to help them with their quest to begin with. By the end of act one, everyone seems to have received their happily ever after – if it was deserved – but that kind of happy ending would be too easy. This innovative production results in the giant’s wife from Jack and the Beanstalk come down to the kingdom to seek revenge, crushing as many characters as she can on her way. Will our favourite fairytale characters learn to work together to defeat her? I do think that the plot of Into The Woods is very clever, albeit a little convoluted…or a lot convoluted. On first watch it may be a little confusing but I love all the connections that are made between each character, and Jordan Michael Todd’s narration keeps everything tied together and flowing nicely. Something that I noticed when I heard the score for the first time is that it’s very samey. Naturally, it’s very Sondheim (in the same way that Andrew Lloyd Webber musicals are obviously ALW musicals), and the problem there is that the biggest toe-tapper is the title song. I have maintained for years, and will continue to believe, that this is probably the worst way to start a musical as it never really builds from that point. And it definitely going to upset a few people that you get stuck in seemingly slow orchestrations. Whilst unfortunately I can’t compare the All Star Productions’ version of Into The Woods to any others that have made the rounds in recent years, I can say that it’s a brilliant adaptation. Into The Woods is performed in the round with a 17-strong ensemble with characterisations drawn from modern day Britain, including a family straight out of TOWIE, a drug-using princess, Made In Chelsea princes and a mother you could imagine appearing on Jeremy Kyle. With Into The Woods being an ensemble piece, there are very few character designed to stick out too much. However, Abigail Carter-Simpson portrays a feisty Cinderella and is a real stand-out performer with potentially the strongest voice in the company, and no-one can deny the power and emotion displayed during Michele Moran’s Children Must Listen. But the most striking performance comes from Madeleine MacMahon’s beer-guzzling, chain-smoking portrayal of Jack’s mother. A totally different depiction of the character, and it worked fantastically. She was believable, and I was disappointed every time she left the stage. And with Jamie O’Donnell playing her son, they were the dream team of the performance. There have been so many brilliant renditions of Giants In The Sky in the 30 or so years since the musical’s conception, and whilst this wasn’t my favourite, it was a pretty solid shot at it. I can’t ignore the fact that there were some slightly weaker performances, but overall it was a really strong production. Unfortunately, here were some microphone issues which is disappointing, as the Princes’ Agony could not be heard too well despite being in a very small space. I definitely feel that that whilst Ashley Daniels and Michael Duke were brilliant vocally, they needed to project a little more so we could get over the sound issue. The set and lighting design clearly had a lot of time spent on them (I’ve been following the get in over the past week on social media and was definitely intrigued by the sheer amount of ladders taking over the relatively small space), and I was blown away by them both. The set was fairly simple, being made of wooden pallets and ladders, and whilst they did restrict the view a little, the action moved so quickly the the view wasn’t blocked for too long. The lighting was very clever, particularly during Florence Odumosu’s I Know Things Now, and the witch’s Last Midnight. Hand on heart, I wasn’t sure how this was going to work. 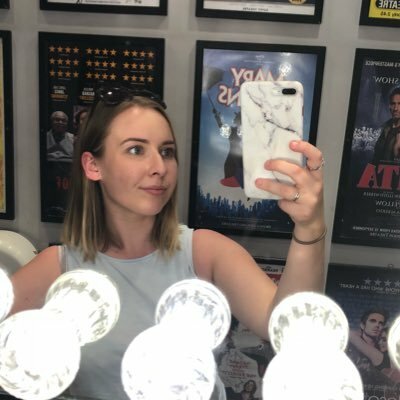 I thought modernising it as much as I knew was planned would be too much of a stretch, but the beauty of theatre is that there is rarely anything that is ‘too much’. Into The Woods is the type of show that could become very Pantomime-like if you’re aren’t careful with your casting and set, but this If you are yet to see Into The Woods and can make it to London before this production closes then it’s a brilliant way to introduce yourself to musical, and even if you’ve seen it 100 times I doubt you’ve ever seen a production like this, and it’s definitely worth a visit. Into The Woods is playing at The Cockpit until 24th June, and tickets are available here.